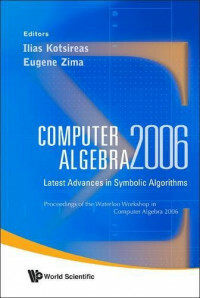 Written by world-renowned experts, the book is a collection of tutorial presentations and research papers catering to the latest advances in symbolic summation, factorization, symbolic-numeric linear algebra and linear functional equations. The papers were presented at a workshop celebrating the 60th birthday of Sergei Abramov (Russia), whose highly influential contributions to symbolic methods are adopted in many leading computer algebra systems. More than a year has passed since the founding of the Joomla! project. And what an exciting year it has been! The book began with an anonymous donation to the author of an 8-inch package of documents in the early 1980s. Nothing less than the membership list and supporting documents for a truly secret society the Yale Skull and Bones.